If you are a homebuilder, electrical contractor, GC, or new home designer, you should bookmark this website. Builders and contractors do receive Volume Discounts that are not likely to be matched by price. We offer a wide variety of communication systems for new home construction. If an intercom system for a new home is what you need you have come to the right place. 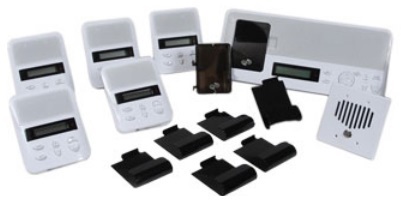 We specialize in intercom systems and will help you design a system for FREE. We offer many different types of intercom systems from video intercom systems, to iPod intercoms, iPhone intercoms, music intercoms, wireless intercoms and more... 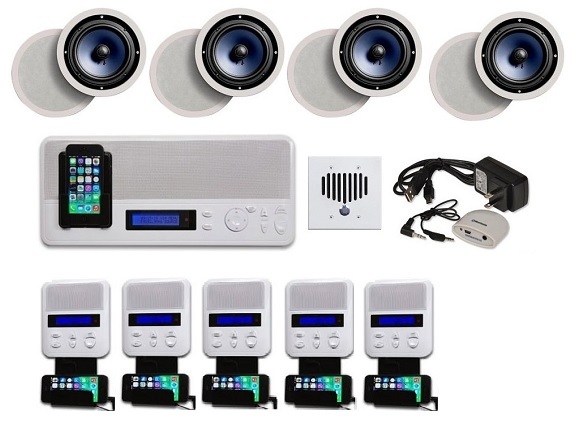 This system Is very popular because it can serve as an intercom system as well as a distributed audio system for your house. There are even local inputs at every intercom station so you can plug your portable music in anywhere. Only the I1000M INTERCOM system delivers both high quality integrated multi-source MUSIC distribution and INTERCOM at an affordable price. The I1000M Intercom and Music Distribution System is an expandable integrated multi-source music distribution system with Automatic Selective Call Intercom or use the Hand Held Remote for room to room intercom. The I1000M Intercom and Music Distribution System is expandable to 20 zones, integrating 5 door stations for door communication and hands free Intercom with room monitoring throughout the home. Plug in your iPod or Mp3 player at the master and charge it while you listen to your favorite music or share your music with the entire house from the master – its your choice. The versatile I1000R Room station combines music and home intercom in a compact size. Every Room Station is capable of accepting a local source such as an Mp3 player or iPod through a conveniently located 3.5mm jack. With the option of multi-source at each room station the versatility continues with the ability to have 20 different sources playing at the same time. Take advantage of the Automatic Selective Intercom or use the hand held remote to dial the room directly for private intercom communication. such as AM/FM, Ipod, Audio Input. • Handheld remote control that will even allow you to answer the intercom call and control entire system. intercom stations will be listening to the conversation. • system on the market. Most Intercoms are a “broadcast all” systems. Everyone hears everything. • Amplified room and patio station allow connection of (2) 8 ohm speakers. Let Us Know if you are a Contractor. We Offer Volume Discounts. Our custom home intercom systems are suitable for many different applications in commercial buildings, offices, homes, apartment buildings, condos, and many others.